Nawazuddin Siddiqui & Radhika Apte starrer latest biographical movie Manjhi that is based on real life of the mountain man ‘Dashrath Manjhi‘. The directed Ketan Mehta has very well portrayed the struggle and love of Dashrath Manjhi in a story. Everyone liked the movie and giving super positive reviews. Bollywood critics have also rated it with minimum 4 stars. In terms of public response & reviews, the movie is going very good but it have not collected any impressive figure at box office. From the very first day, it is getting low occupancy. On Friday with the overall occupancy of only 10-15% it was collected 1.40 crore as its first day collection. Then on Saturday, it showed decent growth and minted 2.25 crores as its second day collection. On Sunday it showed more growth and the collected recorded was 2.70 crores. 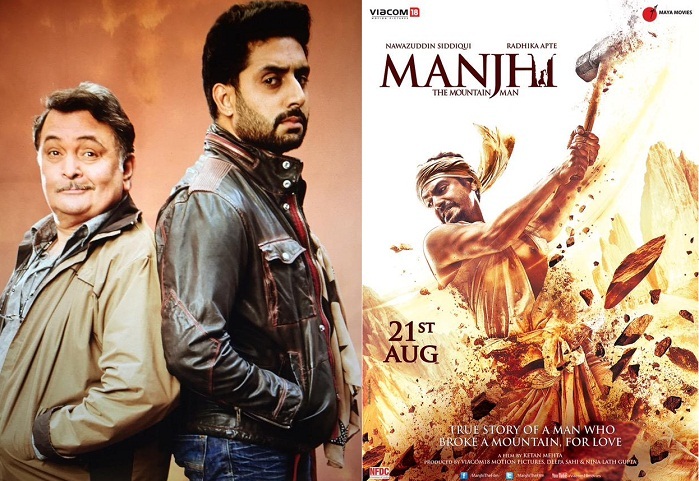 Till the end of its first weekend, the total collection of Manjhi was 6.35 crores from Indian screens. Now it is running in weekdays and getting very low audience. On Monday it was collected 1.10 crore as its 4th day collection and 1.02 crore on Tuesday as 5th day collection. On its 6th day i.e. Wednesday, recorded lower occupancy than previous day and collected 0.85 crore. 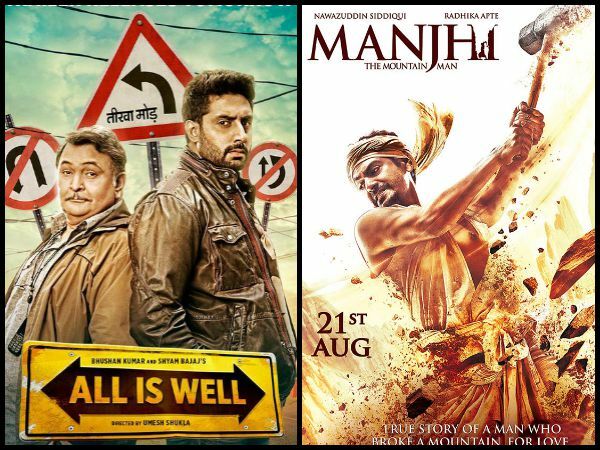 The adjacent release, All Is Well is doing slightly better than Manjhi. Received mixed reviews from audience as well as critics but managed to collect average figures. In its first weekend it was collected the total collection of 11.91 crores that was included 2.90 crores of Friday, 3.98 crores of Saturday & 5.03 crores of Sunday. Now it has entered in weekdays and as usual facing drops in its business. On Monday it was done the business of 2.10 crores as its 4th day collection. Then on Tuesday it recorded little bit less occupancy and minted 1.90 crore as its 5th day collection. On Wednesday i.e. on 6th day of release, it has made the collection of around 1.75 crore*.